Meet Bonnie and Clyde. 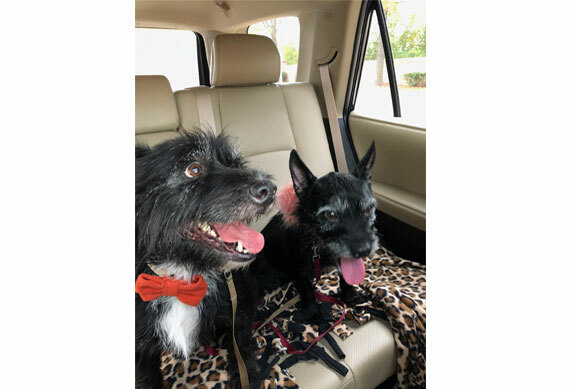 They are Scottie Cairn Terrier mixes and are not really outlaws but they did find themselves on the lam a few weeks ago, and then found themselves in a shelter, scared and alone. A nice lady adopted them, but never having been around Scotties, she did not realize how they think. Plus they did not like the resident cat. So she called us and placed them in Scottish Terrier Rescue of TN. Bonnie and Clyde are very sweet and love nothing better than snuggling with you in your favorite chair to watch a little TV. They are probably litter mates and very bonded, so we would like to place them together. They need a home with a traditionally fenced yard, with no other pets (they are not fond of other dogs either) and no small children. If you can give Bonnie and Clyde this type of home, please go to www.scottierescue.com and fill out the online application or contact Ginger at jgmcafee@charter.net.